The Federation of International Cricketers’ Associations (FICA) today made comment following a FICA Executive meeting at the Oval in London that focused on the rapidly changing global cricket and player career landscapes. The rapidly changing global cricket and player career landscapes were discussed at length, including the impact of domestic T20 leagues in delivering various career paths and choices for players around the world. FICA will continue to advocate for the balancing of traditional cricket structures with new markets and domestic T20 cricket. The meeting resolved to continue to oppose any unfair restrictions on freedom of movement that are imposed on players in the current landscape without the agreement of players, and discussed the need for a new regulatory framework agreed with player representatives in an improved global cricket structure. Alistair Nicholson, the CEO of the Australian Cricketers’ Association and Executive member of FICA, briefed the Executive on the ongoing dispute in Australia. The meeting commended the ACA and Australian international and domestic players, men and women, for remaining united during attempts to divide them. FICA affirmed its full support for the ACA and player revenue sharing principles, which it considers to be global best practice in maintaining player stakeholding in the game in each country. It also discussed the importance of governing bodies respecting players’ chosen representatives. The meeting reiterated the need to ensure proper collective representation of players at all levels, with an increasing focus on the representation of female players. The importance of direct engagement with all player groups was re-affirmed, in ensuring that their views and opinions on key issues are represented effectively. FICA will meet with male and female player groups during the ICC Champions Trophy and Women’s World Cup events in the UK. FICA confirmed its commitment to assisting Indian cricketers to set up an independent players’ association after the Lodha Committee and Indian Supreme Court ruled that an association should be formed. It noted that both India’s national and domestic players are key stakeholders in the world’s largest cricket economy. Assisting where possible to ensure those players have an independent collective voice, as well as creating player wellbeing, personal development and education programs will continue to be a priority. 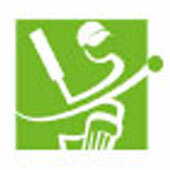 FICA confirmed its commitment to assisting players from associate countries to form players’ associations. The Executive noted the formation of the Scottish Cricketers’ Association (SCA) as a significant step for players in Scotland and in associate countries generally. FICA looks forward to welcoming SCA as a new member of FICA, subject to formalities at the FICA Annual Meeting in September. Passing on accurate and up to date security information to players continues to be a priority focus for FICA. Security experts briefed the Executive on the current security landscape in all cricket countries, including in relation to both men’s and women’s ICC events in 2017. The meeting noted the ICC Anti-Corruption Unit’s commitment to forming a partnership with players, through their chosen representatives, and FICA looks forward to finalising a framework for such partnership. “The global cricket landscape is providing more choice and more variety for career direction for players around the world. Players are no longer constrained by the traditional vertical career pathway that focused on international cricket. The domestic T20 leagues, which are increasing in number and sophistication are presenting multiple new career options for players. It is critical that the right balance is found between the traditional and the new markets”.